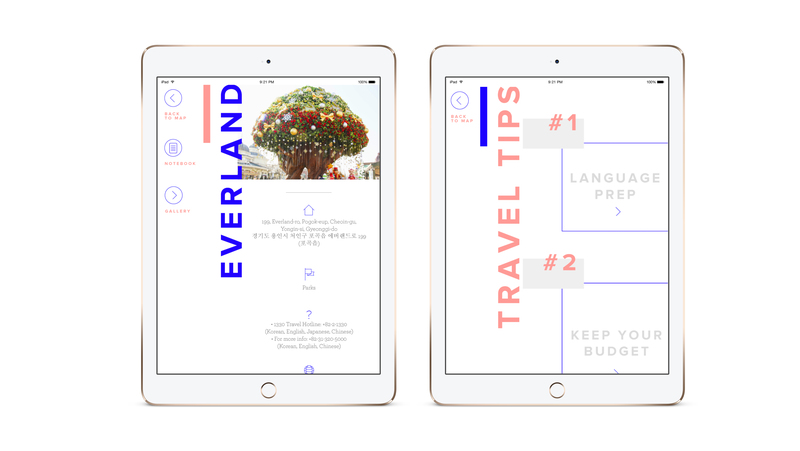 Hangook is an interactive digital publication that gives travel tips to tourists in South Korea. It suggests various landmarks that are popular amongst the travelers, and allows the user take notes and journal along the way. The illustrations on the home page gives a general location of the major landmarks to help plan itineraries beforehand.